I found this three years ago, when working as a waiter at TGI Friday’s. 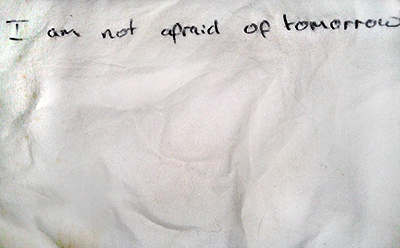 I was cleaning tables, and found this note written on a napkin. I’m not sure if it’s a message for themselves, or a message for who ever would find it.